All you have to do is leave me a comment on this post, telling me you would like to win a spot and I will pick a winner tomorrow. Entries close at 23.59hrs EST/04.59hrs GMT. This is open internationally, good luck! I would love to win a spot on this class i am running so behind on cards this year that I would love to learn some new hints and tips to get me started! Congratulations on being a guest artist!!!! 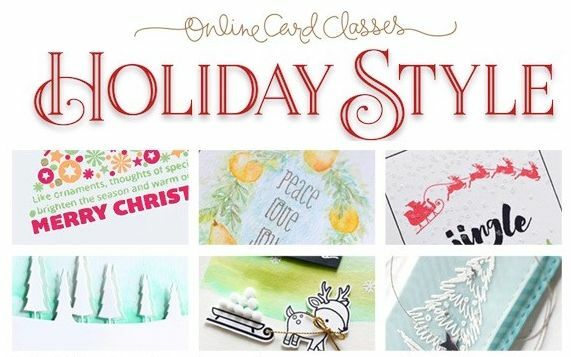 Thank you for the chance to win this fabulous online card class ! Who wouldn't want to win a spot in this awesome class? Thanks for the chance. Congratulations on being a Guest Designer for this class! I would love the chance to learn from you, as well as the other guest designers! Thank you for this chance! Have a wonderful week! Would love a chance to win a spot in this class!! Love your cards and excited to see what you do. This looks fantastic! How exciting - I 'd love the chance to win a place! I would love to win a spot in this class! Congratulations on becoming a guest designer, an honor well deserved! Hoping you are you are on the mend and feeling better with each passing day. Would live to win this. Thanks for the giveaway! This would be such a great class to take with the holidays coming right up! Thanks for a chance to win. I have taken many of the Online Card classes and would love to win this one. Thank you for a chance to win a seat! I would love to win a spot in the class! It sounds awesome and the peeks are delightful! Bound to be a great class with an all-star lineup of instructors and guests! Congrats on being part of the teaching team. Since i always make holiday cards this class would be great. Thanks. Congratulations on being a guest designer for the Christmas card class. And thank you for the opportunity to win a place. Congratulations on making the guest design team and thanks for the chance to win! The classes never disappoint! It sounds like a perfect class - and one that would be lovely to win. 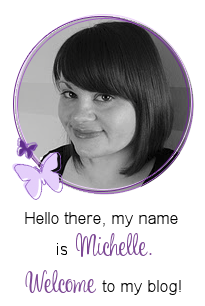 Well done Michelle! I'm so pleased you have got this recognition. You truly deserve it. I'm adding my name to the hat. I might get lucky! I do hope you are feeling much better. Take care. Best classes anywhere, would certainly love to win a spot! Thanks and fingers crossed! I would LUV to win! Congrats on being a guest designer. You make wonderful cards. They are lucky to have you Michelle! Fingers crossed for a spot! 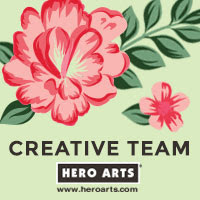 It's super that you are a guest designer sounds like a great online class would love to win a place hugs Bee. Oh I missed the deadline :(( I so wanted a seat in that class.... I bet you'll be brilliant Michelle! Looking forward to this class and the ideas for this year's cards! I am very excited for class to start. Congrats Michelle, its so well deserved!! I'd so love to win a spot to see all you uber talented ladies. I still have so much to learn, lol. Thanks for sharing, inspiring and the chance to win. I would love this opportunity to win thank you so much! Yay! I was so happy for you (and us) when I first saw you were asked to be part of the class. So exciting! Thank you so much for a chance to win a spot! Please please please pick me!!!! I would love to win this one. Hi I'm a very happy fan of your site and I'm from Australia. I would love a chance to win a card class place. Congratulations to you for being chosen to demonstrate in the class.